The service is free. 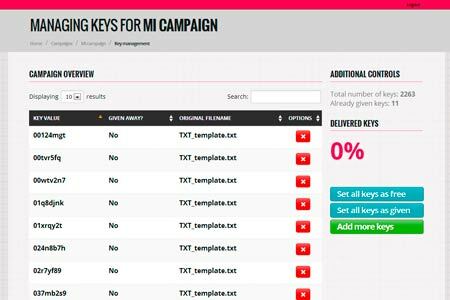 Create as many campaigns as you need and give away any number of keys. 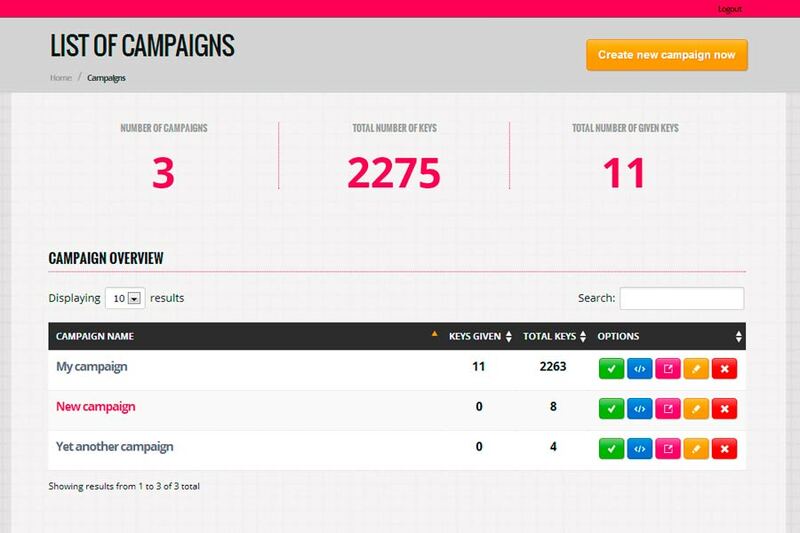 Creating a campaign is a matter of seconds. 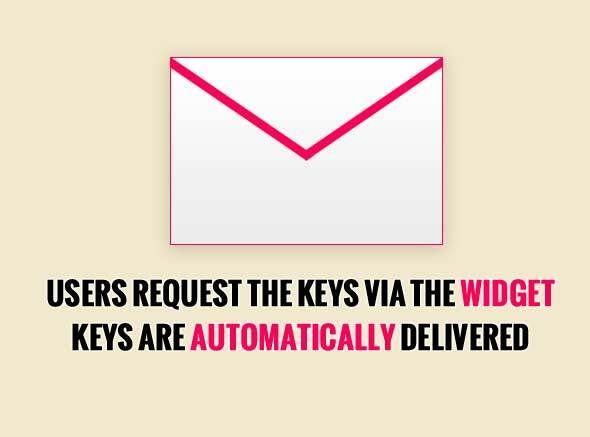 Once created, you can manage it using the control panel. 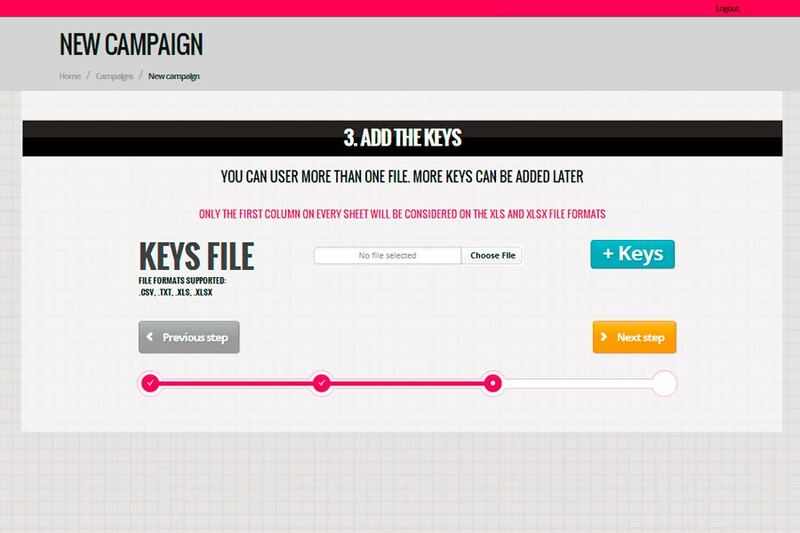 Tweak the parameters of each campaign according to your needs. 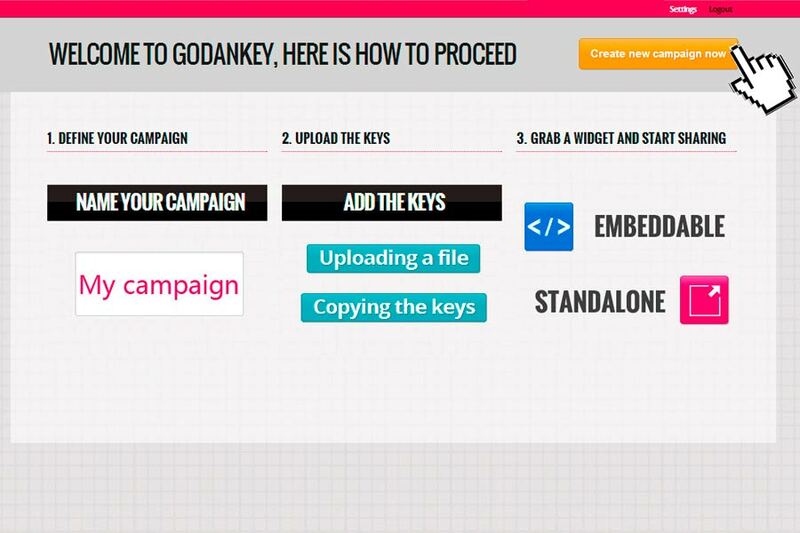 Embed the campaigns into your website. The giveaways are filtered to prevent bottint. 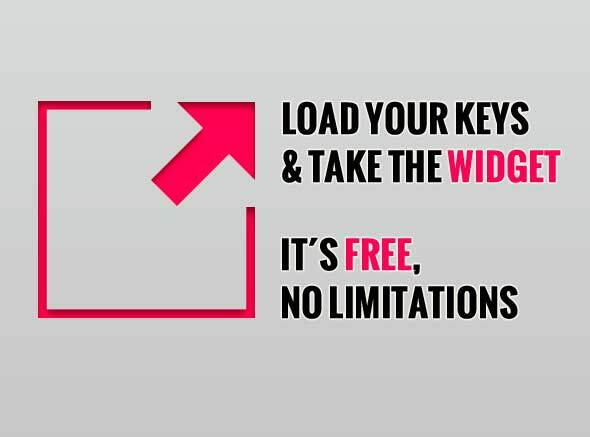 This way a single user is only able to get a single key. No data is used for commercial purposes. 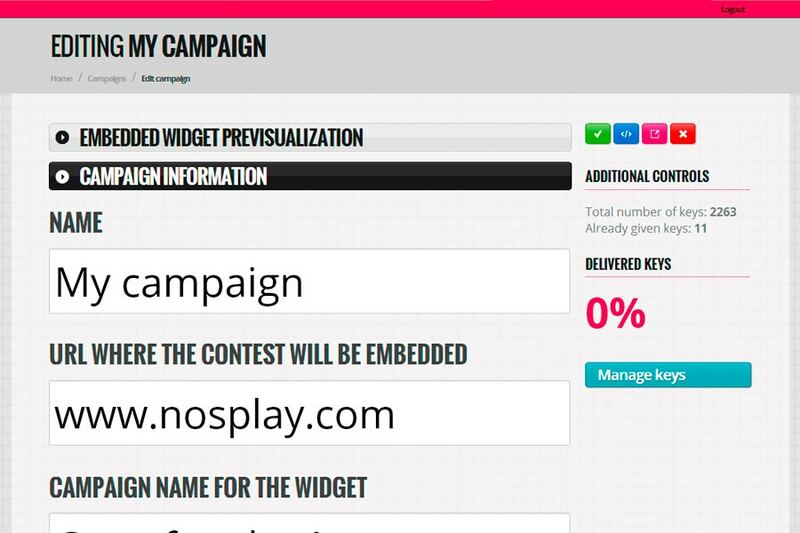 Create a campaign and take the widget to your site. 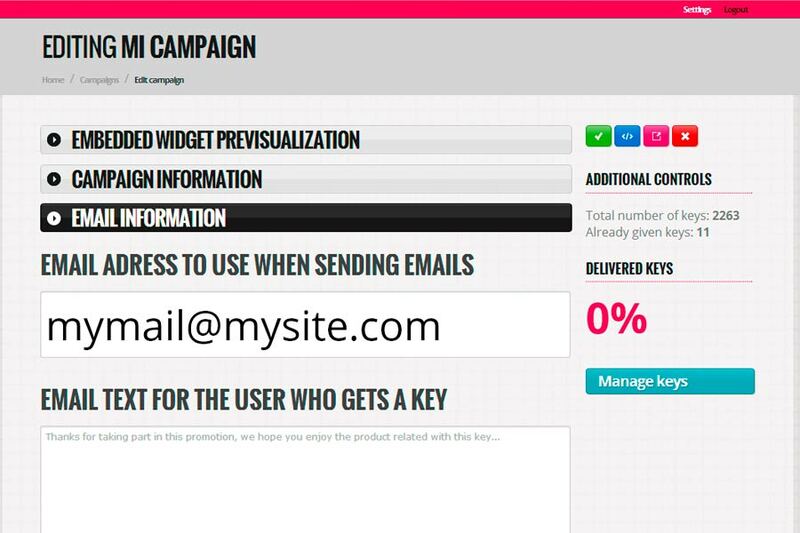 We do not show the campaigns on the site, they are private and you use them where you want. 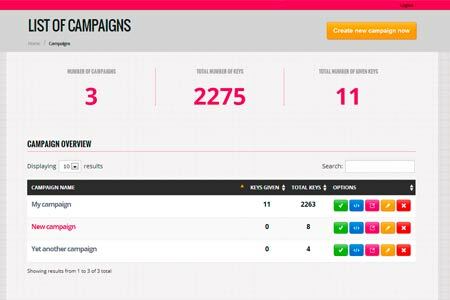 Manage different campaigns at the same time from the your personal control panel. You can join us in less than a minute. Our registration process only ask for an email and a password, we do not need anything else from you. 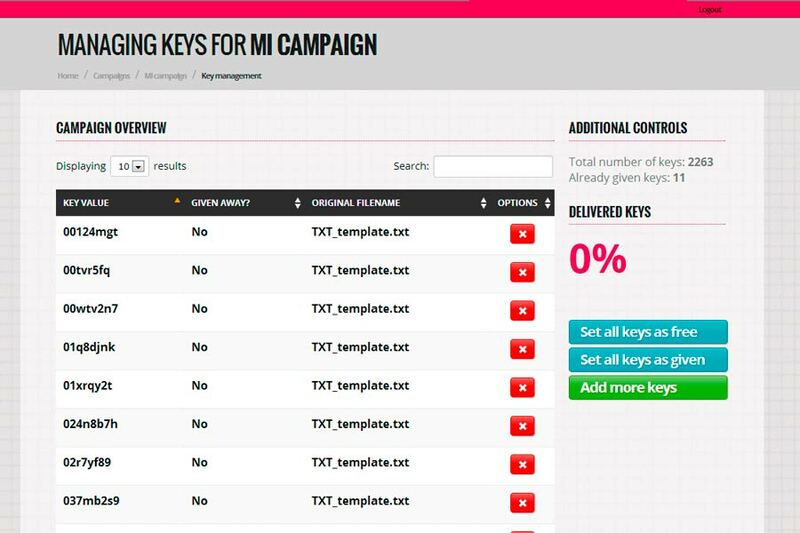 Edit any field of a campaign after creating it. 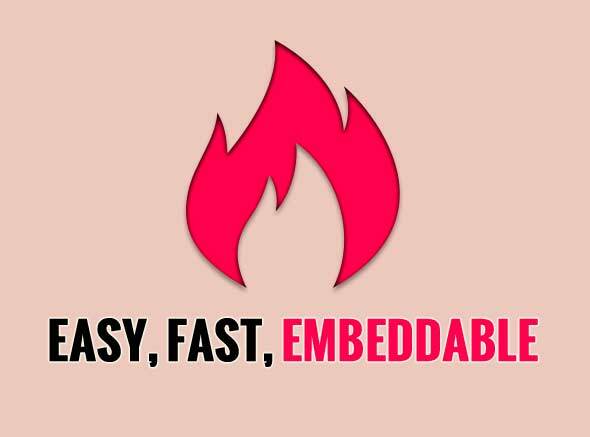 It´s very easy! Powered by Game Dixit S.L.